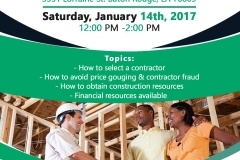 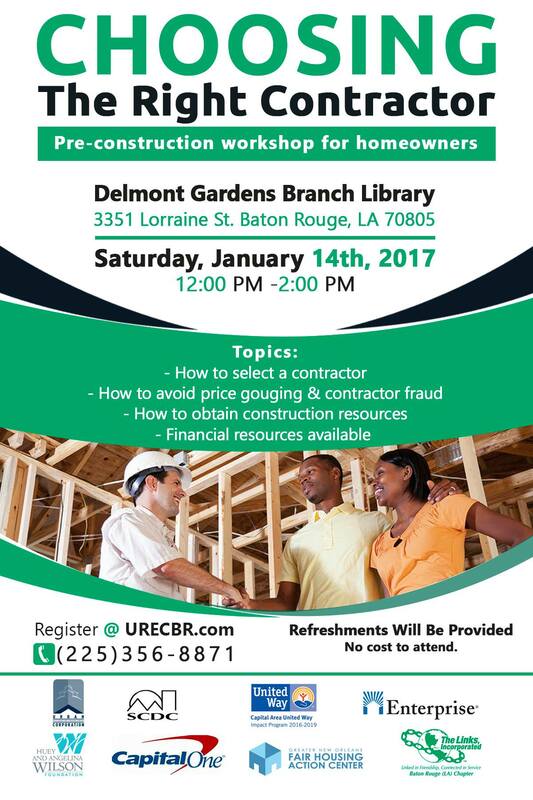 January 14, 2017, the Urban Restoration Enhancement Corporation of Baton Rouge, hosted a seminar titled, “Choosing the Right Contractor” at the Delmont Library. 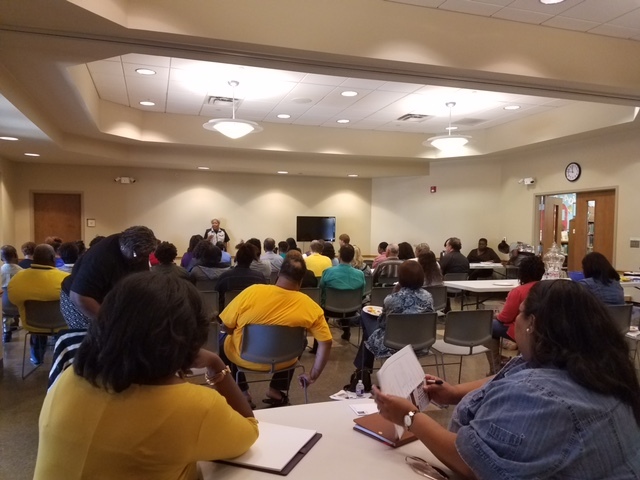 Rebuild SOS’s CEO, Chuck Marceaux and Advisory Board member of Community Outreach, Sister Judith Brun, were honored to be invited guests and speakers. 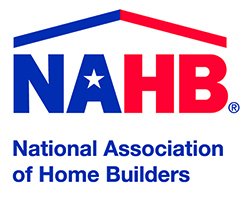 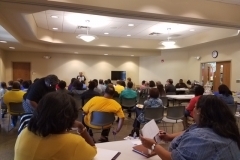 A crowd of 60 attendees were present and actively engaged as they took in useful information on how to rebuild their homes from the August 2016 floods.